More artist bios coming soon! 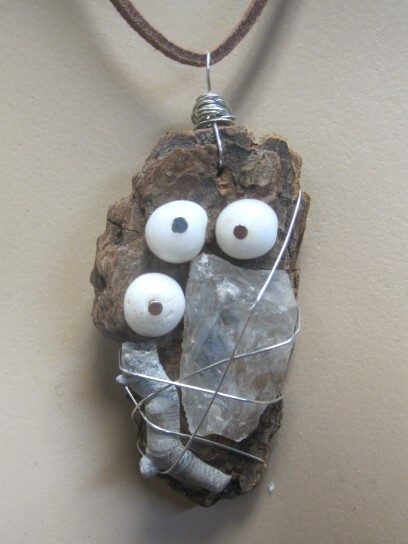 My focus as a jewelry designer has been mainly on natural materials, organic forms and bright colors. I feel the Midwest is too beige and I try to bring a little color and funk into the lives of the great Midwesterners. I make pieces from materials that capture the beauty in an element of nature and enhance it with other natural materials that may not be found in the same habitat. 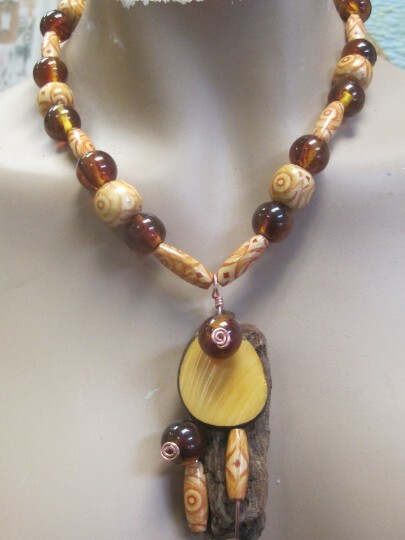 Two of my favorite materials to work with are bark and freshwater pearls, adding the elements of earth and water together to create harmony in wearable art. I also like to use a lot of found, recycled, or antique materials. I feel that there is too much discarded jewelry that is sitting around waiting for new life to be brought to it. I try to make every piece a unique work of wearable art, fun and simple enough to be worn in everyday life.